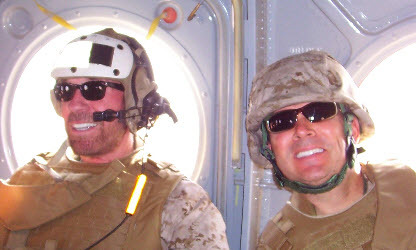 Todd DuBord is the Chaplain for Chuck Norris Enterprise based in Texas. Todd is also a patient of Dr. Jerry Sanchez. Like to see what you´d look like with a new smile? Want to make sure a new smile will be perfect before the makeover begins? We have the answer with our Smile Preview. We start by taking a picture of you smiling. Then, we enter all the proposed changes for your personal Smile Makeover into a computer. An image is produced with a smile that reflects all the proposed changes. Don´t like what you see? 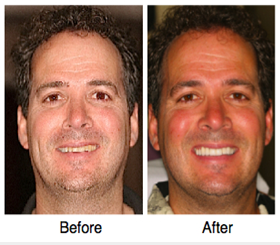 We can make changes - whiteness, length of teeth, contours, etc. - to create a new image with a new smile. Once your completely satisfied, we know exactly what to do for your makeover. With Smile Preview there are no unpleasant surprises - just a beautiful new smile, like Todd.